The Index Card Summary of "The First 90 Days"
For those who just started new jobs this past summer or fall, you may be closing in on the end of your first quarter. As someone who came from a liberal arts background and spent college summers working at non-profits or on my own initiatives, I recall my first corporate job being something altogether different than any setting or challenge I had encountered to date. Standing on the threshold of my first office, I realized that the system I was joining was a whole new kettle of fish. Whether you’re joining a new sector or a new company, the way you prepare and get smart for a new role is distinct to the business context and requires some focused, diligent attention. This summary walks through the key actions for leading your own transition. 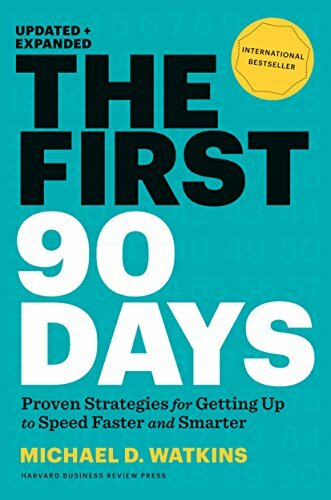 Michael Watkins’ The First 90 Days: Proven Strategies for Getting Up to Speed Faster and Smarter gives guidance on how to position yourself for success in a new role. While the target audience is new managers, he identifies challenges common to all new employees and provides a structure for recognizing and addressing the types of challenges that come with differing organizational contexts. First off, why 90 days? The author posits that the first quarter is a good time to get judged, as people’s impressions and perceptions are starting to solidify. The faster you can get up to speed and move from a “transition” period to having ongoing positive impact, the better. Watkins recommends taking the following steps. Leave behind old assumptions and habits tied to your old role. A new company has its own culture, dynamics, and norms. Focus on attuning your mindset and your skillset to your new role. Recognize that you will need to perform at a higher standard than your last role. To begin, construct a learning agenda in which you identify competencies to upgrade and skills to gain. Develop a learning schedule in which you summarize your learning needs. Then, figure out the best way to learn, including questions that you need to ask. Create a support network with mentors to support your transition. Identifying the business context you are operating in will aid you in identifying what will be valued in terms of activities and outcomes. Common business situations include Startup, Turnaround, Accelerated Growth, Realignment, and Sustaining Success — or STARS. Each situation will have a different emphasis on learning vs. doing, offense vs. defense, etc. and, thus, will differ in what must be done to secure an “early win”. You will need to establish credibility with your new boss. This means taking on your boss’ objectives and definitions of success as your own. You can then define goals relevant to your role and find opportunities to demonstrate your ability to achieve success by pursuing a few early wins. As you identify a path forward, it is your responsibility to keep your boss posted and ensure that expectations are communicated. No surprises is the best policy in working with your boss. You must also adapt to your boss’ style rather than assuming you can change them. Your relationship with your boss is your responsibility. By aligning on your priorities and defining your strategy, you can create a shared vision and establish a clear direction of progress. You must align you strategy and vision with your teammates. Assess their strengths and weaknesses, in a non-judgemental fashion. Establish the right structure for speed and effectiveness. Identify personal and team timelines for analysis and action planning. Don’t make decisions before you are ready. Develop a common language of communication. This will speed up action and remove misunderstandings. In an ideal scenario, you win the respect of people whom your boss respects. Beyond your immediate teammates, identify and understand the influence of indirect stakeholders, who may impact your goals. I like that this book focuses on what is in your control, and the importance of being proactive as well as receptive to the new environment. It’s worth underscoring that the most important thing you control is your mindset. What I am less convinced by are the tactical tips about quickly identifying all facets of success and converting them into an action plan. Watkins makes it all sound easy. The reality is, it isn’t always easy. In a new work environment, particularly the large ones, I’ve often found my senses on overload, not knowing what’s true vs. what’s marketing, and finding advice from different veterans inconsistent or even at odds. In the end we all have to make our own foundations by choosing how we define success in the context of our careers, beyond just a single job. 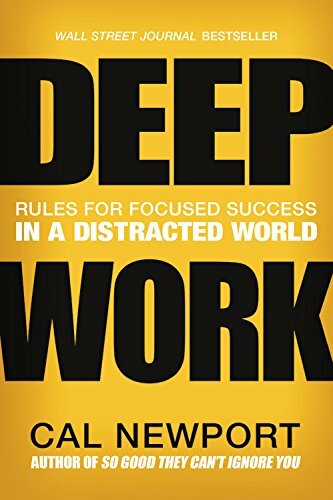 The Index Card Summary of "Deep Work"
Does it ever feel like your brain is overheating from fragmenting attention between too many things, flitting back and forth between tasks, with sometimes little progress to show for it? Well you're not alone, and Cal Newport is going to be our Dr. Phil of attention, helping us to improve our quality of work and quality of life. The following summary of Deep Work walks through his advice on how to build our ability to engage deeply with our activities. Newport argues that in the modern economy there will be three types of winners: 1) those with access to capital, 2) those that are the best in their fields, and 3) those who work well with increasingly complex machines. The most viable route to economic success for must of us will be Path #3. To work well with ever-evolving machines, you must be a great learner who can do deep work, i.e. focus intensely. 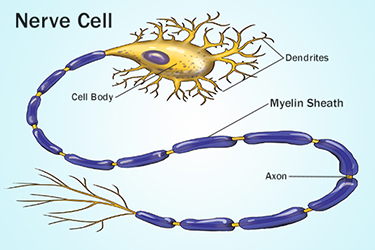 Fun fact: intense focus triggers the same brain cells repeatedly and builds up myelin, which bulks up that neural pathway. Sort of like body building for your brain. 1) The measure of deep work is time spent x intensity of focus. That's what you want to maximize! Note on Technique: for those with less control over your schedule and less recent practice with deep work, the Pomodoro Technique may work best for blocking off deep work sessions followed by shallow work sessions or breaks. For example, 40 minutes of deep work followed by 20 minutes of shallow work 6 times a day can still achieve the target of 4 total hours of deep work per day. These shallow work periods may end up as over-flow buffers initially as you train yourself up to longer, unbroken periods of time. You need to have 10 consecutive unbroken deep periods of a given time increment, as short as 10 minutes, before you start building up to longer periods. 5) Choose to work on "the wildly important"
Note on E-mail: we've all rattled off quick replies that we know will generate three or more back-and-forths. Nip this in the bud by laying out everything you know will be discussed, including your availability for meetings requested, or any further information you will need. Add "no reply expected" or "I will consider your reply a confirmation" to minimize future e-mail traffic.